Live Nation Urban and TCG Entertainment are proud to present the first and only official Estate approvedsymphonic presentation of Prince’s music, titled 4U: A Symphonic Celebration of Prince. 4U will present the music of Prince like never before, with a full orchestra. In addition, each show will feature a live band who will perform collectively with the orchestra. 4U will draw from Prince’s singular and extensive music catalog, highlighting many of his greatest hits alongside lesser known gems. Live Nation and TCG Entertainment are working in partnership with acclaimed drummer and creative Questlove to curate the set list and arrangements to be played by the symphony. 4U: A Symphonic Celebration of Prince highlights the music of Prince like never before, with a full symphony orchestra. The show will draw from Prince’s extensive music catalog and will feature many of the hits that captivated generations of fans, alongside lesser known gems — all interpreted and performed via a world class symphony orchestra. Yes, in addition to the symphony orchestra, the production will include a live band who will perform collectively with the symphony — together creating a truly unique opportunity to experience Prince’s iconic music. This show is not “impersonating” Prince, but is instead “celebrating” Prince and his boundless creative output. 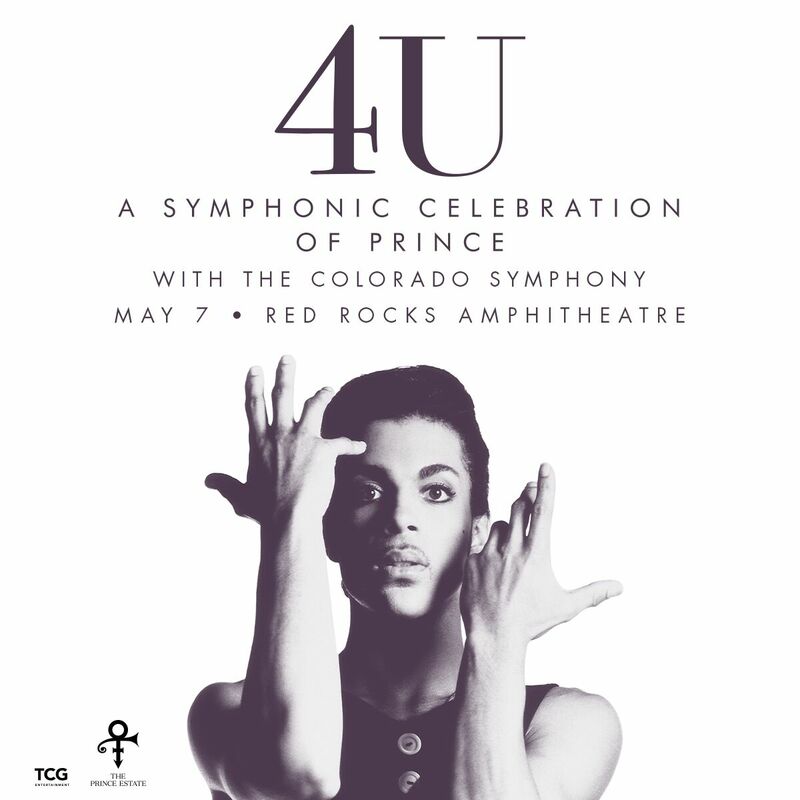 Complementing the live musicians, 4U: A Symphonic Celebration of Prince will feature state-of-the-art production elements, as well as photo and video content provided by The Prince Estate. 4U: A Symphonic Celebration of Prince is officially endorsed by the Estate of Prince Rogers Nelson. This is the only approved Prince symphonic show in the world.